Darshan is a groundbreaking collaboration between world-soul singer Basya Schechter (Pharaoh’s Daughter) and esoteric indie rapper ePRHYME (Eden Pearlstein). Pharaoh’s Daughter has been called “one of the most original and exciting groups in the Jewish Music Movement” by Rhythm Magazine and ePRHYME has been praised by Tiny Mix Tapes for his “consciousness-raising Jewish hip-hop.” Joined by an all-star cast of musicians (as well as a choir), the result is a kaleidoscopic fusion of Hip Hop, Rock, World, Soul, and Jewish music like you’ve never heard before. 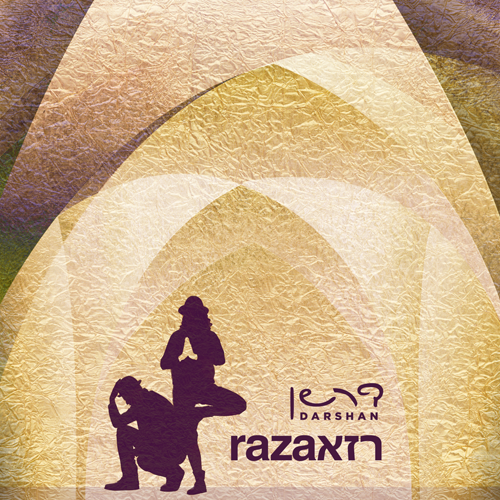 Darshan’s newest release, Raza, is a radical reimagining of the Kabbalat Shabbat service, the traditional prayers and mystical poetry recited on Friday night to welcome the Sabbath Bride. Seamlessly interweaving a dizzying array of influences and inspirations from East to West, Raza transforms this most beloved of Jewish liturgical rites into a genre-defying work of sacred pop art.